In these days of inflation when Rs. 500 is not enough for Pizza for 3 people, Ulhasnagar offers traditional Sindhi healthy dishes that anybody can afford. Yes, the title is right. 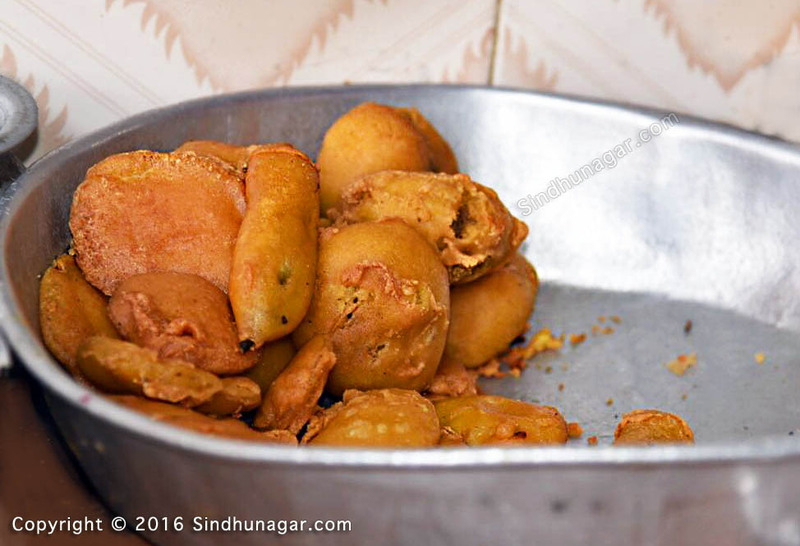 Four people can enjoy tasty Sindhi Breakfast like Dal Pakwan or Dal Puri or Dal Koki only for Rs. 100 at Shankar Dalwala. 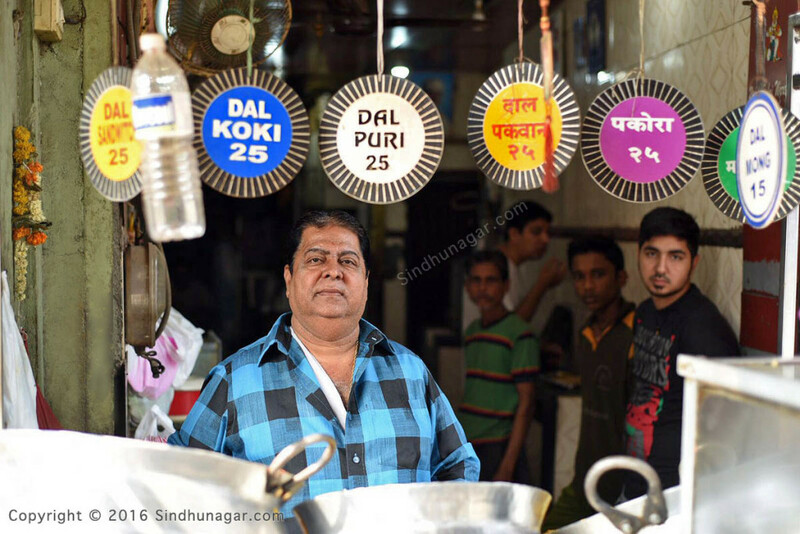 Shankar Dalwala is a busy shop early morning & can be easily noticed near the Canara Bank, Ulhasnagar 4. It was not an easy life for Shankar. About 35 years back when he was not doing well in embroidery business, that’s when he was offered a Canteen job at Ashok Anil Cinema by Mr. Satramdas Jeswani. Here for 10 years he mastered the art of making tasty food, working for 14 hours daily. He didn’t make much money from that. 22 years back he started his own Sindhi breakfast business by renting Haathgadi for Rs. 300 and loan of Rs. 5000 from one of his relative. 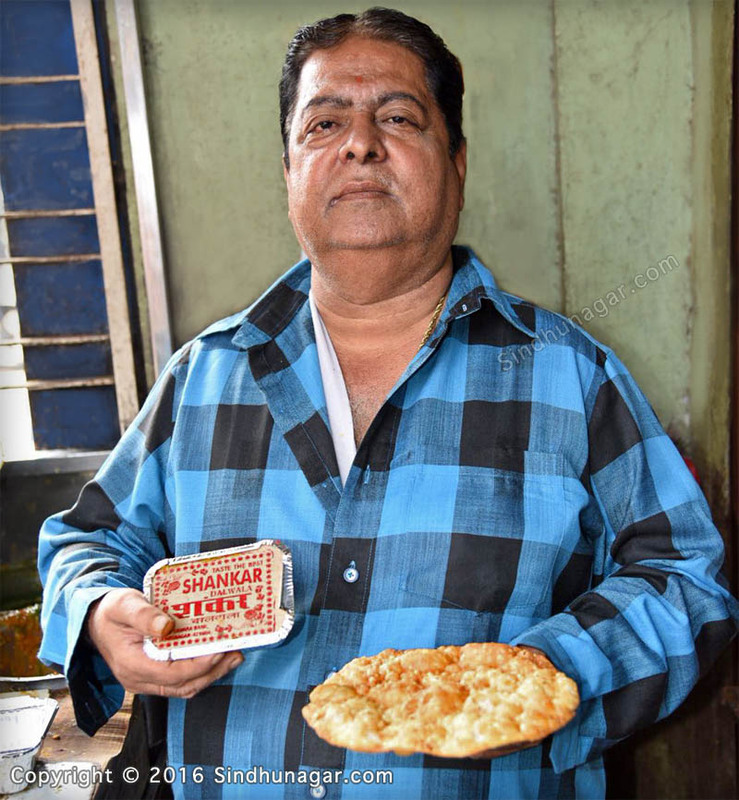 His tasty breakfast dishes did wonders and today he is the owner of this shop. He has paid for good education of his three children and considers it all as grace of Gods. 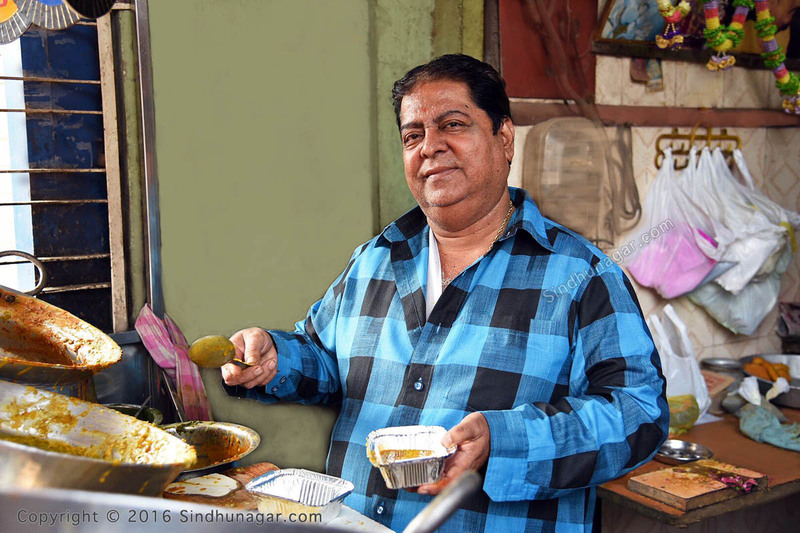 He is a vegetarian and only offers vegetarian Sindhi dishes. Large size Sindhi Pakwan with a container full of Dal, Mung, two Chatnis, onion, beetroot, potato etc as topping, only at Rs. 25. Free Aquaguard drinking water is offered to all the customers eating at the restaurant. 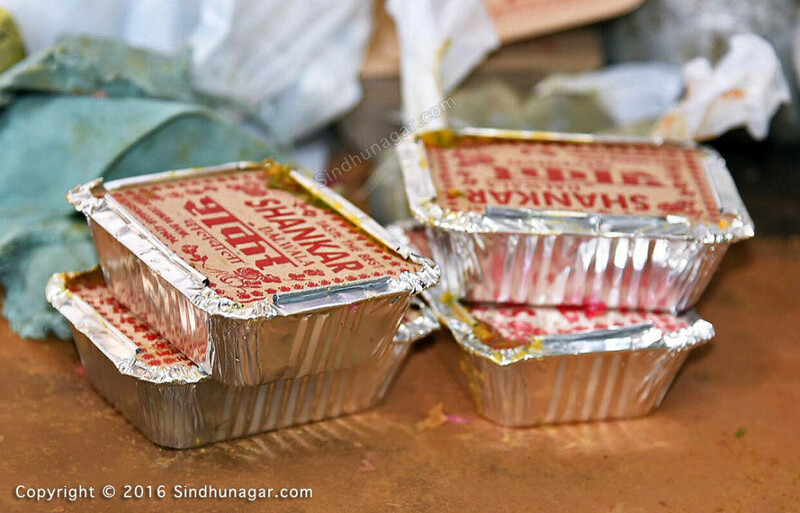 If you mention him that you’ve read this article on Sindhunagar.com he will give you a smile and treat you better. It can only happen in Ulhasnagar, no other part of Mumbai!! I will sure come to ur shop. From Bahrain. Once I come to India. Inshallah. I live in USA. I will visit your shop on my next trip to India. Love Daal Pakwan! I salute my Sindhi brother. 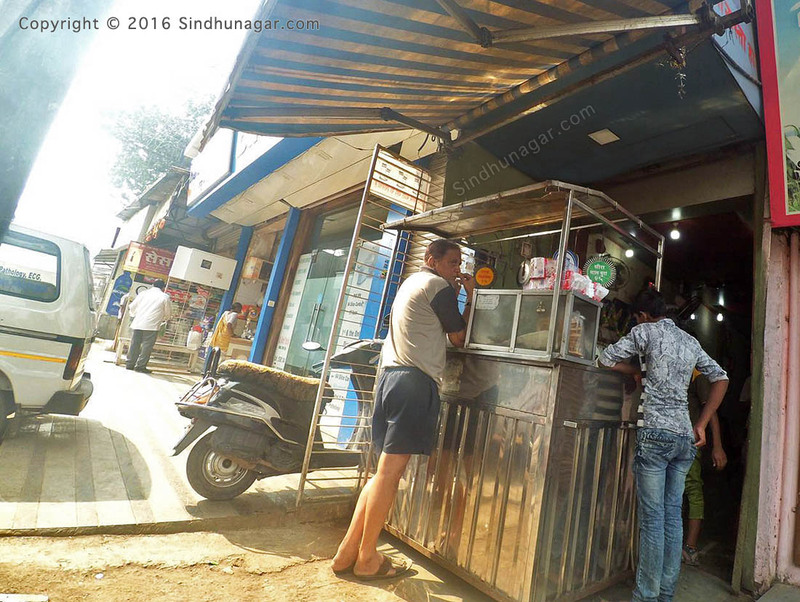 Sindhis believe in small margins & big turnover even today. Hence they can face competition. By providing Aqua guard water he has provide we believe & provide quality products & services. Wah Shankar Bhau. Good job. I have a shop in Delhi which can be used for this kind of outlet. There is a good demand here. Already 300 hundred Sindhi families are staying within the vicinity. If u open we would extend all support. Jai Jhule lal. This can be done only by sindhi Salute to Shankar bhai dilwala . Other sindhi shall get inspiration and open such type of shops in sindhi areas .